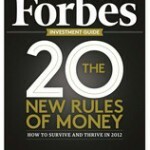 On stands now is the print edition of Forbes magazine (December 2011, Investment Guide). It features the story Boomers: Reinventing the Next Chapter, by Deborah L. Jacobs. Lori was interviewed for this article about her success in building a business that helps others to understand the needs and wants of the Baby Boomer and Senior consumers, and effectively reach them. We are pleased to announce that we have been selected as the marketing agency of record by Aging Technology Alliance™ (AgeTek™), a trade group of companies that develop and/or market technology-based products designed for the senior market. AgeTek represents companies and organizations dedicated to promoting the awareness, benefits and value of products and services for our aging society. Their members’ products and services allow seniors to remain independent and age in place at home, as well as empower many seniors to enjoy a healthy, active lifestyle while securing their mobility. AgeTek is focused on bringing greater awareness to their industry, products, and to its select group of companies that are working together (and independently) to develop better-designed, less expensive and better-tested products for the senior consumer. Continuum Crew will counsel AgeTek on thought leadership activities and member engagement activities. We will also develop and implement an advertising and media plan, with interactive media services (including the execution of email campaigns and search engine optimization), marketing collateral production, public relations and social media activities. To read more about this announcement click here. Lori’s latest blog post for MediaPost Communications Engage Boomer blog, discusses the drumbeat of the ‘Move Beyond Age’ movement has grown louder throughout this year, with conversations ranging from how to “re-tool” senior products for Boomers, to how to appeal to the largest demographic in today’s marketplace. Friends and partners are shining a light on human-centered design and the aging population. Read Lori’s MediaPost Communications Engage Boomer blog post Move Beyond Age – Let’s Talk Better Design here. Two years ago, on her 50th birthday, Lori Bitter got fired from her job at JWT, a subsidiary of WPP, the world’s largest ad agency. Nothing personal, mind you, but JWT had decided to eliminate JWT Boom, the unit she ran focused on marketing to mature consumers. She spent that weekend with her husband, on a long-planned birthday jaunt to Sedona, Ariz. “I hung out in the red rocks and pondered my existence,” she says. Read the full article online at Forbes. Print article available on December 5. For this article Can Empty Nesters Still Afford to Splurge? in the current issue of SmartMoney, I spoke with writer Missy Sullivan about the empty nesters’ mentality. 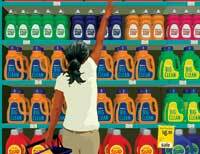 For this article Stores Make Changes for Older Shoppers, in AARP Magazine’s September/October issue, on retailers’ changes for older shoppers, I was asked what trends we at Continuum Crew were tracking. Read what I told Christina where the ‘big shift’ was. I’m pleased to have been asked by Allstate, one of the nation’s largest auto, home and life insurers also known for their “You’re in good hands” slogan, to be a guest blogger on their Allstate Blog. In my first post, It’s Not Our Parent’s Middle Age, I’ve written about a trend that we have been tracking for the last two years, patterns of independent behavior among boomer couples (that is different from our parents’ generation) and the actions they are taking – some of these may surprise you! Have you walked through a home that just “felt different” from the previous homes you explored? Do prefer Target to Wal-Mart, or Lowes over Home Depot for your big box shopping, but are not clear why? Will you return to a favorite web site because you can find what you’re looking for, it feels easy to navigate and you can complete a transaction? Have you held an OXO vegetable peeler and wondered why on earth anyone ever used the one in your Grandma’s utensil drawer? The eighth show, The Business of… Social Entrepreneurship and Legacy, we have guests from two organizations that are organized around the principles of social entrepreneurship and the idea of leaving a legacy for future generations. For those of us unfamiliar with the concept of social entrepreneurship, a social entrepreneur sees a social problem and uses entrepreneurial principles to create and manage a venture that achieves social change. While an entrepreneur is motivated by profit, a social entrepreneur has a goal of furthering social and environmental goals. The nearly 80 million Baby Boomers in the United States are embracing these concepts as they age. The concept of leaving a legacy is vitally important as people age and move emotionally toward the idea of “self actualization.” And older people internalize this in wildly different ways. Some choose to teach, some start families, and many are pointing their energy to organizations that will improve the world socially and environmentally. We speak with our first guest, Jim Emerman, Executive Vice President of Civic Ventures, a think tank focusing on boomers, work and social purpose. Civic Ventures has led the charge to engage millions of boomers to be a force for change, and show the value of experience in solving serious social problems – everything from education to the environment to homelessness. Before assuming the role as executive vice president, Jim developed and directed The Purpose Prize – which is highly praised – it is a $17 million program designed to recognize and invest in social entrepreneurs who are over 60 and working to solve problems in their communities, the country and the world. Prior to Civic Ventures, Jim was chief operating officer of American Society of Aging, the largest association of professionals working with and on behalf of older adults. Our second guest is Randy Paynter, founder, President and CEO of Care2, the largest online community of people passionate about making a difference, with 15 million members and 400 non-profit. If you are an entrepreneur, marketer or corporate strategists targeting the mature consumer, this is a must attend event. Produced by Mary Furlong & Associates, The Silicon Valley Boomer Venture Summit and Business Plan Competition is taking place this Wednesday June 15 at Santa Clara University in Santa Clara, CA. The event brings together entrepreneurs, venture capitalists, industry analysts and business leaders in the field of aging to create a unique forum to explore business ideas, share trends and best practice information and design products and services that will serve the baby boomer market in the coming years. Among the topics addressed by the gathered leaders about serving or investing in companies that will serve the boomer market are where and why venture capitalists are investing heavily in the boomer market and how key analysts segment the market and evaluate opportunities. This is where I’ll be, let’s connect! Wednesday, June 15 – 11: 25 a.m. – 12: 10 p.m.
Major companies are failing to recognize the impact of the aging population on the design of their products and services; as these products and services are developed, consumer insight and usability is happening too late in the process – or not all. Further, there is little recognition that designing well for an aging population creates better design for all. These panelists know thoughtful design complements an aging society, producing beautiful, usable and smart products. Join this conversation about elevating design as a key quality of life factor for every population in society. And be sure to sign-up at registration to join me at my hosted table for Lunch on the Lawn. To register for the Silicon Valley Boomer Venture Summit, click here, and use our Continuum Crew code SVCC11 to receive a 20% discount.